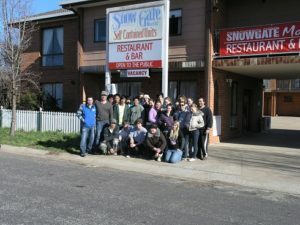 Snow Gate Motel has been hosting school excursions for many years and most of the schools come back to us time and time again because of the quality of our service, our commitment to providing the best entertainment, facilities and food whilst keeping in mind that value for money is always a priority. Book all en route excursion visits e.g. Questacon. Book Coach from pick up to return. Provide 3 meals a day (continental and hot breakfast, packed lunch and dinner) all cooked by our renowned chef. Provide comfortable multi share accommodation with the provision of linen in our motel. 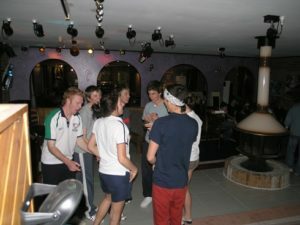 At night we can keep the kids occupied by putting on a disco, a karaoke night, trivia nights and video nights. We will provide the organizing teacher with a ski information pack and all risk assessments necessary to help you organize your ski excursion. Do you have a preferred Coach Company? Would you like to stopover prior to arrival at the Snow Gate? Would you like to stopover prior to you return to school? We will get back to you with a quote and a proposed itinerary shortly.